The past couple weeks have been crazy! Accepting a new job, resigning from my previous job, traveling, planning, packing and running errands has taken quite the toll on my stress levels and my skin. I have always been a huge fan of Estee Lauder skin care products, specifically DayWare. 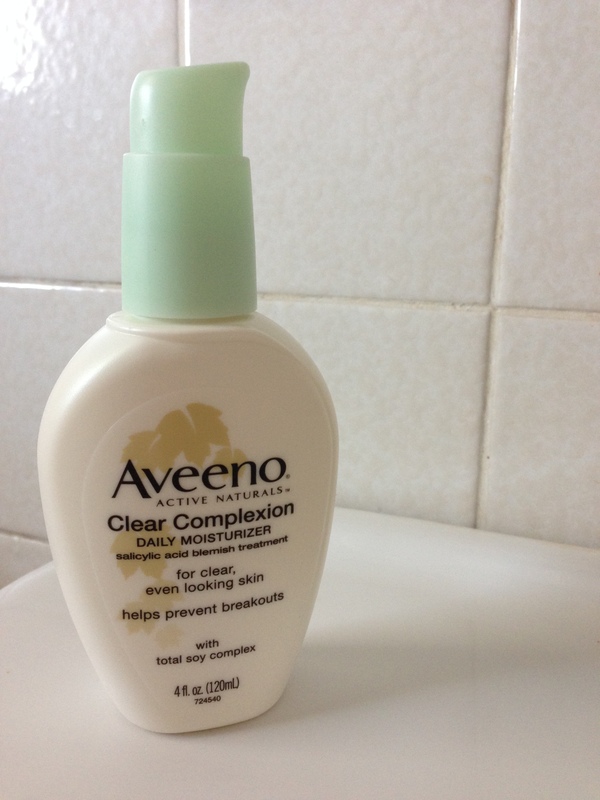 With everything changing (including my budget), I decided to switch things up and try a cheaper, blemish fighting alternative, Aveeno Clear Complexion Daily Moisturizer. Not to mention that I can get it at the local CVS and use my rewards points, I also paid less than $20. This daily moisturizer contains salicylic acid for preventing breakouts and goes on light and evenly. My skin feels quenched without being weighed down. It has done a pretty good job so far with my breakouts, I have been using it for 2 weeks and have noticed that I am experiencing less breakouts. I did however have a couple pop up yesterday afternoon, so we will see how it holds up over the next couple weeks with the move next Tuesday and starting my new job on St. Patty’s Day!